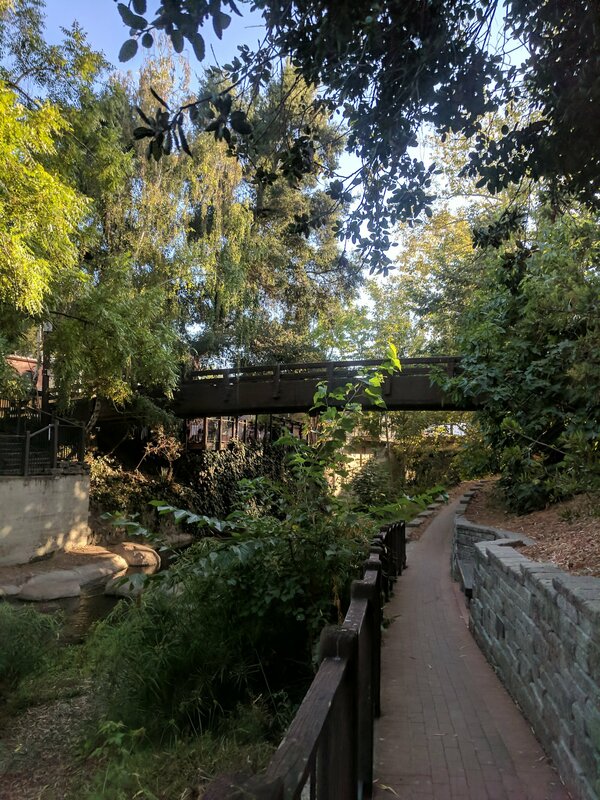 My wife and I were privileged to spend a few lovely days in the San Luis Obispo area in September. Here are my thoughts about this captivating and enchanting community from a planner’s perspective. A beautiful physical setting not only inspires, but also enhances creativity. Even a smallish stream can make a powerful downtown greenspace amenity (see photo above). College towns across the nation routinely have some of the most vibrant and pleasant downtown business districts. More Americans desperately need to learn about the important Spanish and Mexican contributions to our nation’s history. Colonial Spanish architecture mixes very well with more modern styles. A spectacular coastline within 15 minutes is a real plus – for recreation, economic development, and tourism planning; as well as a natural air freshener and cooling system. Some places in California are not trapped in constant traffic gridlock – the trick is, keeping it that way. One person’s eyesore can be another person’s tourist attraction – Bubblegum Alley. 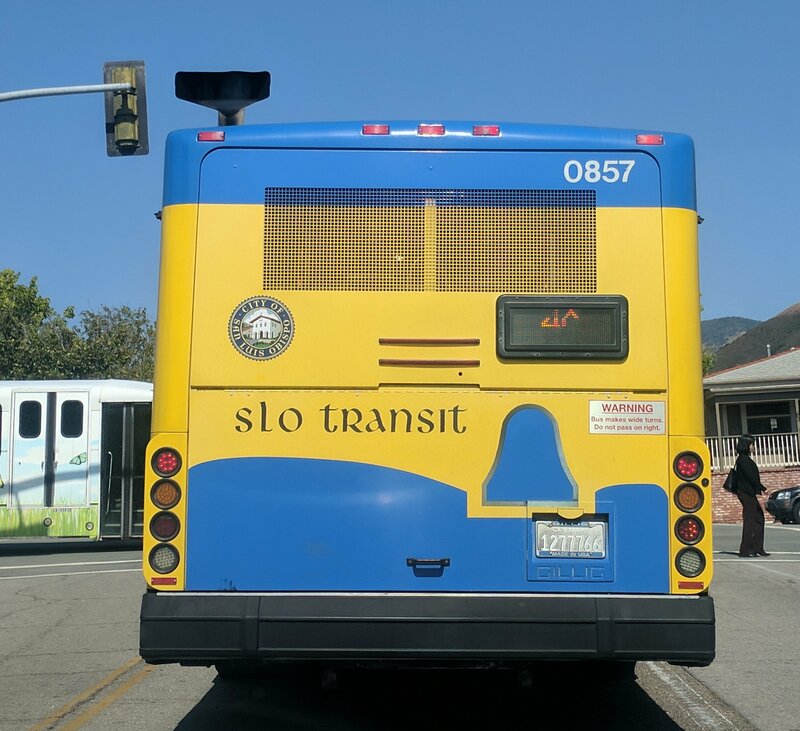 Good humor can be an effective branding tool – SLO Transit (see photo below). There are great places with great planning throughout California, not just in the Bay Area or in So Cal. This entry was posted in Active transportation, adaptive reuse, architecture, cities, civics, culture, downtown, economic development, environment, fun, geography, historic preservation, history, infrastructure, land use, placemaking, planning, recreation, spatial design, sustainability, topography, tourism, transit, transportation, Travel, urban planning and tagged San Luis Obispo. Bookmark the permalink. I totally agree with you. San Luis Obispo is indeed a real charming place. I was also impressed a couple of years ago during a travel from San Francisco to Los Angeles. Thanks for your thoughts.